Family Fun Rain or Shine! Zip lining! Challenging mini-golf! Battling cages, fabulous go-karts on the Dragon's Tail track, the best arcade in Door County (you can win prizes), paint ball, bounce zone for the little ones, plenty of outdoor seating, food, ice cream! All in one location! Spend the day at Egg Harbor Fun Park! 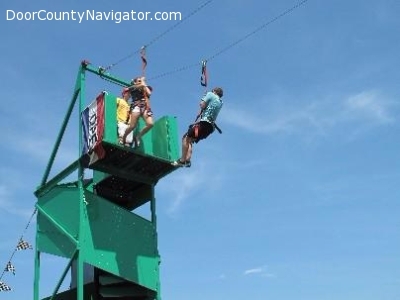 Visit us at http://www.eggharborfunpark.com/ And tell Mark and Dale that DoorCountyNavigator.com sent you!